If you're always on the hunt for the latest deal on co-op games, you might want to check out this week's Humble Weekly Bundle. 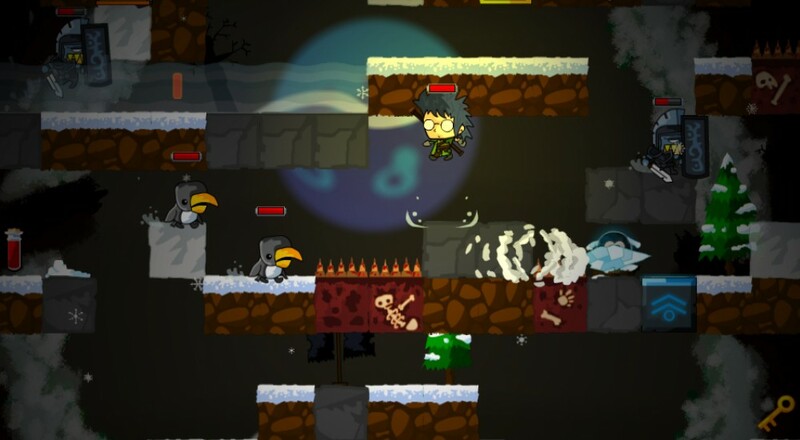 Vertical Drop Heroes HD, a Flash game turned full PC game, is part of the deal that will nab a few other roguelike games, though those are single player only. Pay more than the current average of $4.93 and you'll also get The Road Not Taken, a puzzler rogue-like, and Delver, which is currently in Early Access. Vertical Drop Heroes HD is a fun couch co-op game with some elements that are reminiscent of Rogue Legacy and TowerFall Ascension. It's definitely a fun little couch co-op game if you're looking for a game to play with your buddy on the same comp or over LAN. Page created in 1.4544 seconds.